When it comes to dogs, what they find appealing doesn’t quite match up with what we do. Here are a few ideas for outdoor dog friendly features and designs that will delight both you and your pooch. A fantastic feature to add to your garden is a small fountain or pond. This is great for you aesthetically, it’s peaceful to listen to and your dog will always have water to drink. Be sure to keep the water clean. It will be hugely beneficial to have a feature that has a system which processes and cleans the water and then refuses it. Maybe give the fish a skip if you’re worried your fish pets may turn into dog sushi. Your favourite tree can provide beauty to your garden as well as a spot for your dog to rest and cool down under. 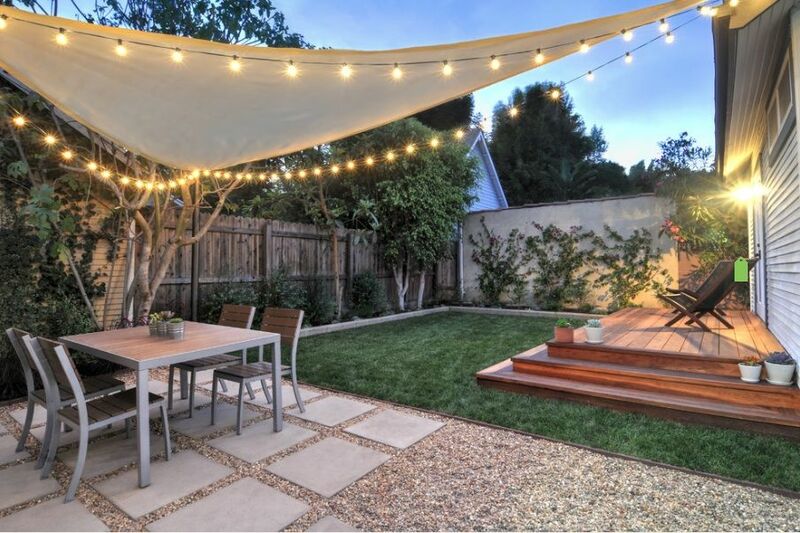 Tarps can also add a bohemian look to your outdoor space and will benefit everyone lounging outside on a warm day. Dogs love to explore and wonder, they also make use of paths brilliantly. Create a path that both you and your dog can enjoy. Be sure to use comfortable materials! Use materials that won’t overhead and burn your dogs paws or catch onto its fur. Mulch and small bark chips make for a natural and easy to create path. Of course always bare in mind your dogs safety. 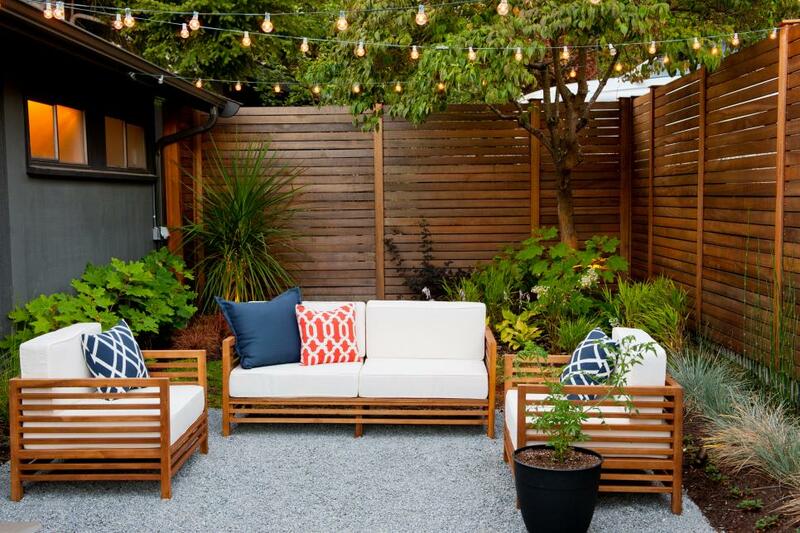 Go for a fence that lends itself to your personal style, ties all elements of your garden together and provides a safe space for your dog to roam around in. Try a white picket fence if you’re going for a cottage look or sleek horizontal boards for a more contemporary look. Granted your dog doesn’t bark at every little sound or falling leaf, one can give him or her their own personal window in a fence to peak out of. Or perhaps you’re aware of what your dog enjoys during play time, create a play area designed specifically for them. Make use of plants and hardscaping to create obstacles to weave through, to balance on or tunnels to roam through. *Remember to always know which plants can be fatal if ingested by your dog. 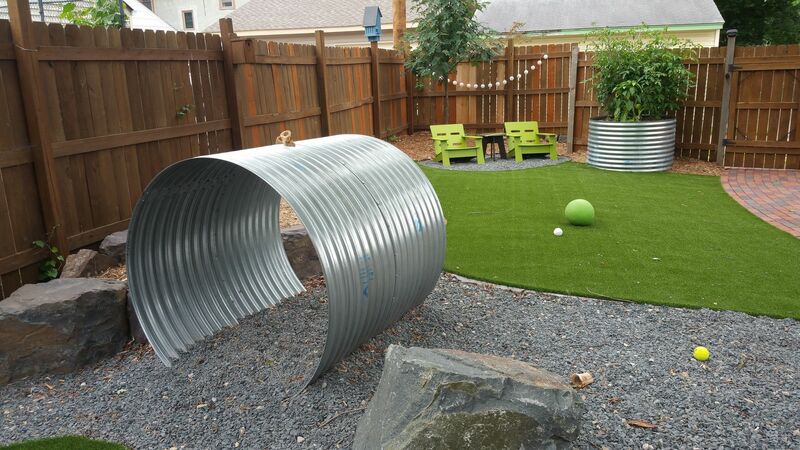 The possibilities are endless when thinking up a space for both you and your furry friend. Create a beautiful space that works for both you and for them.